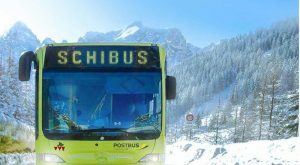 Kirchberg – The Tourist Office for Westendorf and the whole of the Brixen Valley has today launched a new bus service for guests. From the 1st December 2016 tourists in the region will be able to travel with no further charge on the public buses in the valley on production of a „Guest-Card“ issued by their hotel or guest house. This service is not just available between villages in the valley but will also allow guests to travel from Westendorf to Kitzbühel or Wörgl and back. Technically the service is not free but „paid for“ through charges levied by the „Tourismusverband Brixental“ as announced by Max Salcher, business-manager of the association TVB.